That is some serious cash being bet every year for bookmakers to be making that sort of money. This means that gambling is big business, the highlight being the word ‘Business’. While many of us treat the weekend accumulator as a bit of fun, for websites such as Bet365 and William Hill this is where they make their money. It is no surprise then that an industry this big has a few secrets or tricks that it does not want you to know about as it’s what gives them their edge! Have you noticed how bookies actively encourage users to place accumulator bets? Most bookmakers now have promotions that give you an extra 10%, 20%, 30% or up to 100% bonus on your winnings if you win an accumulator. Or there are those bookmakers that will refund your bet if one of your selections loses… so long as you back 6 or more selections? There is a simple reason why the actively encourage this! This is where they make the majority of their revenue! The more lines you add to your slip the more likely it is your bet will fail. When speaking to professional gamblers the one thing that came out is that they back single bets 90% of the time, doubles 5% of the time and trebles 3% of the time. Only 2% of their bets will be accumulators, why? Because they are too risky. 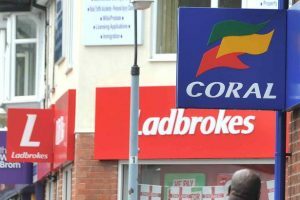 Whilst the internet is full of stories of people winning thousands of pounds from their accumulators, they are a tiny percentage of the total accumulators placed every day at the bookies, so the bookies are still making a very handsome profit from these and will continue to encourage you to back them. How many accumulators have you backed in your life? How many have won? Are you in profit? I doubt it. Did you know that when you are winning, bookmakers will limit your account so that you can only put a certain amount on some bets? Usually a very small amount. I have witnessed this first hand when betting with William Hill… After a profitable first couple of weeks using their website I started to notice that they were rejecting my bets… On further investigation, I actually found they were restricting the amount I could stake on my bets. I had a double in my bet slip with odds around evens and the most they would let me put on the bet was £5. A couple of weeks later I tried to back a 4-fold at 10/1 and the most they would let me put on it was £2… Needless to say, I soon stopped using William Hill… Which is exactly what they wanted me to do. By limiting my account they knew I would eventually give up and avoids them having to actively ban me from their site. Needless to say, I soon stopped using William Hill… Which is exactly what they wanted me to do. By limiting my account they knew I would eventually give up and avoids them having to actively ban me from their site. This is why most professional or profitable gamblers won’t be using traditional betting sites because they will have been banned. Did you know that bookmakers have an overround? Have you ever worked out the percentages of the markets you are betting on? If you sum up the total percentage probability of the odds offered by a bookmaker, you will often find that they add up to over 100%, often at around 106%. As you will likely have worked out by now, that does not sound right… This extra 6% is the bookmaker’s profit margin on that market. So for every £100 they pay out to winners, they make £106 themselves. In order to get yourself the best odds on your bet, you should look to find the bookmakers with the lowest overround. Or use markets such as Asian handicaps which tend to have 2 rather than 3 outcomes which tend to limit the bookies overround. When you are on a bookmakers website they are tracking you! They will use your data such as your IP address to decide whether or not you have more than one account with them or to find out if you bet with another bookmaker and have been banned/limited on that other bookmaker’s website. They also use things like cookies to track what you do to ensure they can limit or block your account if required. I have also heard of bookmakers using your IP address to work out where you are to see if you fit into certain criteria to market to you in particular ways, for example, if you are in London they may think you have more money that users in other areas and offer you more attractive offers to lure you in as they believe you have more money to lose. I would suggest you regularly clear your cookies from these sites and keep this in mind when you are making a profit from your betting as they will likely share this information with other bookmakers to have your betting accounts limited. This one should be fairly obvious but many people still fall for this. If a bookmaker is heavily pushing an offer it is because they want you to take advantage of it. The one thing to remember here is that the bookmakers are not on your side, they are a business looking to make money so they are only going to actively promote the markets that they think they are going to make money from. They are typically the ones that have good overrounds as mentioned above. If the bookmaker is promoting it, I walk away from that bet and look for something different. At the end of the day, they are a business looking to make money, so will market the bets that do that for them. Avoid the hype, avoid that adverts on TV, pick the bets you have researched and not the ones put in front of you. Did you know that the bookies regularly get together to share information about profitable users? I have heard talk of a monthly meeting between teams from each of the bookmakers but I have not been able to confirm this. It is in all their interests to find out about users that are winning big on competitors websites or to find out whether their users are linked in some way to users on other sites that are performing well. This is how the bookmakers get together to identify syndicates and groups of people all placing the same bets so that they can limit those users, email address and IP address from making too much profit from their sites. This is why you may find that after having a winning streak on one bookmaker that leads you to getting your account closed, you may find it difficult to open an account with another bookmaker as they have been alerted to your profitability. Do you like the occasional weekend accumulator and a bit of inplay action every now and then? As you new to gambling and learning the hard way? Are you one of the gamblers who places bets on the live football matches when you see the ads at half time? Then you are exactly the sort of punter that the bookies are trying to attract as you are classed in their most profitable segment of users. You will no doubt have seen that some bookmakers such as Bet365 invest heavily in TV advertising at half-time in the live game on TV and across Sky Sports on the weekend? This is because that is where all the profitable users are. In order to avoid being in this group you need to start researching your bets, don’t place a rushed bet because you are watching the game live. Always take the time to check the stats and don’t just look at the odds in front of you and judge your bets on data provided by the bookies, they are there to take your money. Never place a rushed bet. Think it over for a minute or two before placing it. I hope you found these seven bookmaker secrets useful. Please help others by sharing this article with your friends and family on Facebook, Twitter and anywhere else online.